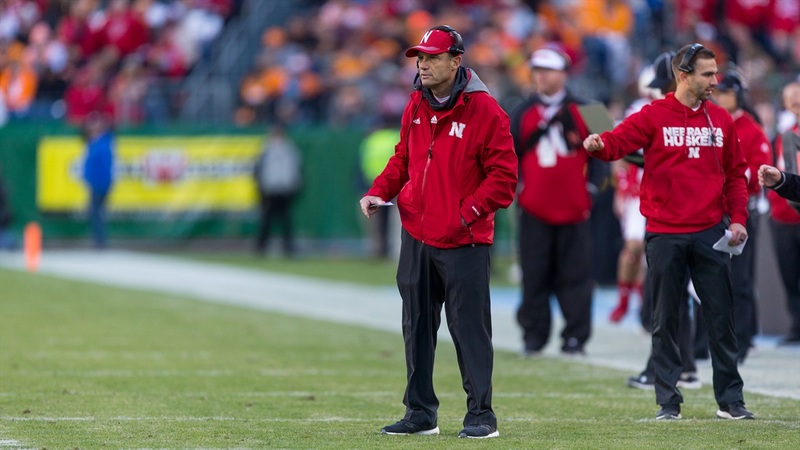 Notable quotes from Nebraska's 38-24 loss to Tennessee. "Well, you're always a little surprised because you don't plan to not run the ball or not succeed so it becomes just a fact. We'll look at every way we can to do better than that going forward." "You'd like to think our guys are better tacklers than that. It was sloppy tackling and then you'd like to say the Tennessee athletes are pretty good and then you'd like to have to say we have to do better. I mean, it really played a major, major role in the game early on because it was so sloppy." "You know, this game was for us, part of our process now in going forward with of course the players that played the game will have gained great experience in playing against guys that are -- they have some good players on that team and good athletes. So I think the experience of playing in this game for us will be good for our team. And it's kind of the end of one team and the beginning of another, as leadership emerges right after the results of this game are in and we get back to campus. It should be a great motivator for the guys that were playing in this game that are coming back for next year's team." "A lot of the production on first and second down. I don't know what our average was today but it had to be under two. It was rough sledding. I think we were, in the first half we were trying and not many of the runs hit. [Tennessee] was doing a good job. We didn't call it very well, there was a defensive tackle in the hole and there were just some silly mistakes. We weren't in very good rhythm I didn't think on the first and second down. I didn't think our production was good there and then we got into 3-and-11 and that's hard. It's hard to convert those. That's a bad way to live." "Barnett is a good player obviously. I hate to say it, but he is. He talked a lot of trash out there, but yeah, he's a good player." "I'd say probably just the bond the senior class has. We've been through a lot. A lot of us walked on together. It's those friendships that last a lifetime, and that's what I'm going to hold onto most about this journey."